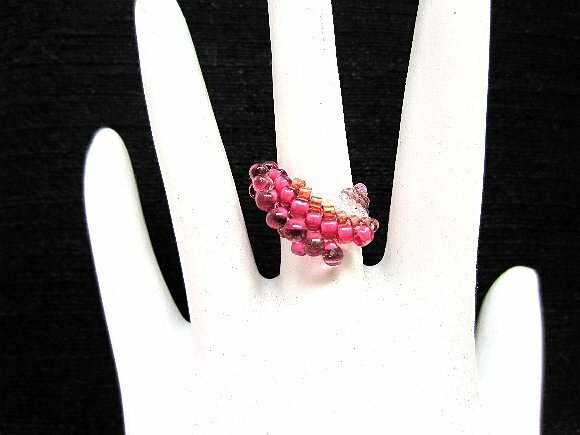 This lovely beaded ring is made using different sizes and shapes of beads to make a design that's as distinctive as it is pretty. 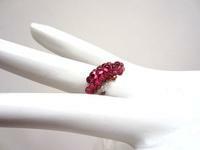 I've used fuchsia and pink, plus some silvery red-bronze beads. 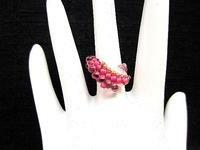 This ring is size 7, but other sizes and colors are available. You can see from the last image that these rings needn't be worn solo; indeed, their shape makes them naturals for stacking.